For the past 10 years AWC-SB has championed the advancement of women by recognizing excellence in leadership. The 2017 Women of Achievement Award winners embody this year’s theme, “Inspirational Women Leaders: Communication, Empowerment, Outcomes,” with their strong guidance skills. Patty DeDominic, International Women’s Festivals Founder and Helene Schneider, Mayor of Santa Barbara will receive their awards at a luncheon on Friday, June 9 at El Paseo Restaurant. Following the tradition of recent years, Poet Laureate Emeritus, Perie Longo will present poems especially composed for the inspiring pair. 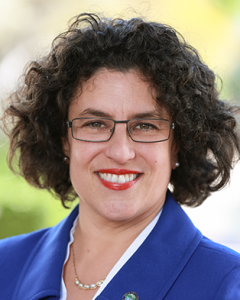 Schneider has served at Santa Barbara City Hall since 2004, first on the City Council, and now she will finish her second term as Mayor at the end of this year. She strives to connect local government with the business community and nonprofits. 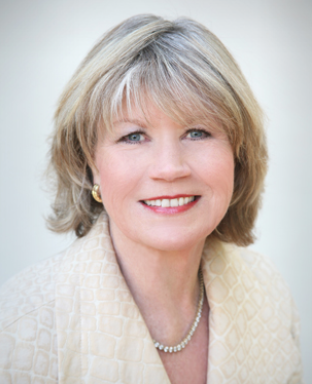 Prior to her elected office, she volunteered in leadership roles as Commissioner for the Housing Authority of the City of Santa Barbara, President of the SB Women’s Political Committee and President of the SB Human Resources Association. Mayor Schneider honed her communication skills as a human resources management consultant. She earned her BA from Skidmore College and her Professional Designation in Human Resources Management from UCSB Extension. Fellow honoree DeDominic praised Schneider for her advocacy and tireless leadership of our beautiful city. “She is diplomatic and dignified, yet playful, which is pretty hard to find in one leader,” DeDominic said. DeDominic also developed skills as a communicator through her work in Human Resources. In 1979 she founded PDQ Personnel Services, Inc., and later acquired CT Engineering, that grew into a powerhouse staffing agency. She sold those businesses in 2006. Capitalizing on over two decades of success, she currently operates DeDominic & Associates, a specialized business consulting firm that offers professional services to enterprise builders and philanthropists. That kind of passion extends to DeDominic’s 20 plus years volunteering in the nonprofit world. She’s contributed her services to the National Association of Women Business Owners, the Chamber of Commerce, and SCORE, as well as global organizations like the Jane Goodall Institute and Direct Relief International. In 2007 she launched the International Women’s Festivals to celebrate women around the world in conjunction with International Women’s Day. Tickets for the Women of Achievement Awards luncheon are $55 for AWC-SB members and $75 for nonmembers. Those who purchase a table of 8 for $750 will also receive a half-page, black-and-white ad in the event program. For information on sponsoring the event, contact Dr. Minette Riordan, minette@minetteriordan.com, (469) 585-3615. Women leaders who’ve received the Women of Achievement Award in the past include former Congresswoman Lois Capps, Dr. Nancy Leffert, Marianne Partridge, Marsha Bailey, Paula Lopez, Perie Longo, Lynda Weinman, Starshine Roshell, Catherine Remak, and Sara Miller McCune. This entry was posted in Past Events on May 26, 2017 by Lisa. I plan to attend the luncheon this Friday. I can pay at the door. If we do not sellout, which is possible at this point, we will take payment at the door if you RSVP to news@awcsb.org. Please bring a check or we take payment by credit card with Square. $75 for nonmembers or $55 AWC-SB members (Join now and the $50 application fee is waved).